← Is it a Cowl or a Shawl? Scarves, scarves and more scarves!!! Just in time for the cooler weather, here is another crochet scarf pattern for your stitching pleasure! Announcing my “Hitch a Ride Scarf”. This scarf is so much fun to crochet! And it uses just one skein of sport weight or worsted weight yarn (250-300 yards). 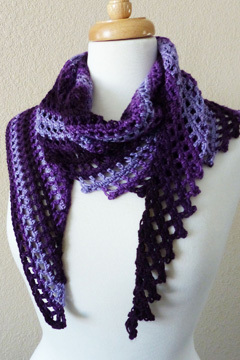 The finished scarf measures 60″ long x 14″ wide with the one skein. If you desire a longer and/or wider scarf, simply use 2 skeins of yarn instead. The scarf starts out at the narrow end and gets wider as you add more rows. With the construction of this scarf, you can make your scarf as long and wide as you desire (and have enough yarn to make). Simply stop crocheting when you reach the desired size of your scarf. The stitch pattern is a 2-row repeat, so it’s easy to memorize. The pattern includes written instructions, as well a symbol crochet charts for the scarf and 2 options for the last row, in case you’re running out of yarn! 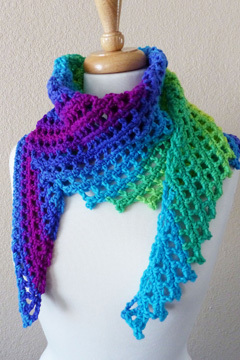 I just LOVE this scarf and the colors of these yarns (and I think you will, too)!!! 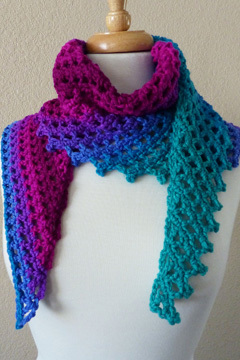 You can find this new crochet scarf pattern for $4.95 on the pattern page here. 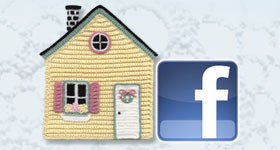 Happy crocheting (and I hope you stay warm this winter)! 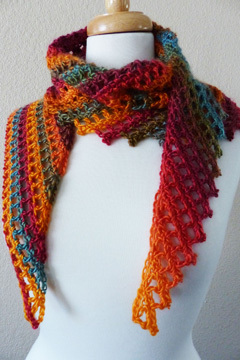 This entry was posted in Crochet patterns, Crochet Scarf and tagged crochet patterns, crochet scarf. Bookmark the permalink.